Our Incubator is the perfect place to locate and grow your deep-tech startup. Our flexible office and lab solutions are here to scale when you scale. However, given the finite size of the incubator, we need to cap our clients’ expansion within the incubator to a circa 200 metre square footprint in order to be able to continuously be able to welcome and support new startups into the community. Our Team, including our dedicated on-site Facilities Manager, will work with you to ensure your specialist requirements are met today and tomorrow. Labs and offices are heavily subsidised for startups for a period of up to 5 years and are offered on flexible month-month terms. As well as your dedicated fully serviced office and/or lab, you will have access to an abundance of eventing spaces, collaborative shared work and maker spaces, a shared central reception, training and meeting rooms, offices, shared kitchens, showers and a cafe. In addition, we have PC1 and PC2 labs, cleanrooms, and access to specialist equipment both onsite and through our shareholder universities. 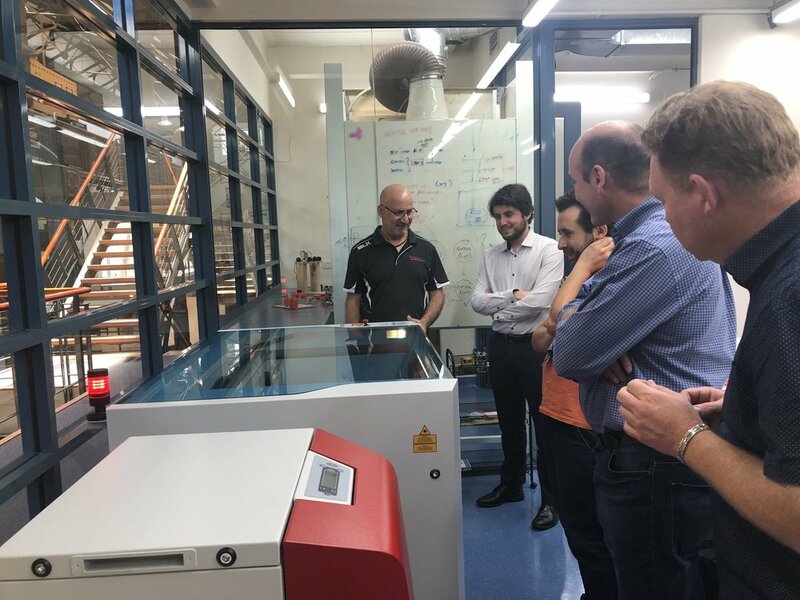 The Engine Shop is a shared, high-end hardware maker space located inside our incubator and accessible to our residing startups and scaleups to use for rapid prototyping, testing and iterating.